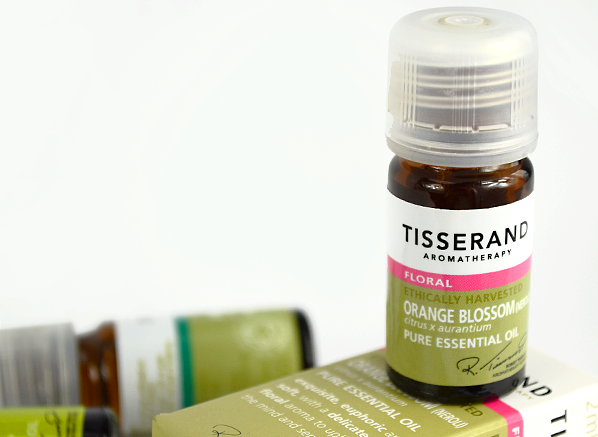 The origins of the Tisserand Essential Oil brand that we know and love today were planted in 1974 when Robert Tisserand started the Aromatic Oil Company from his bedroom in a South London house, after many years of studying and practising as a massage therapist and healer. Tisserand has since expanded enormously from its humble beginnings and Robert is now an expert in this field and the notable author of many, many books on essential oils. Pretty impressive stuff. 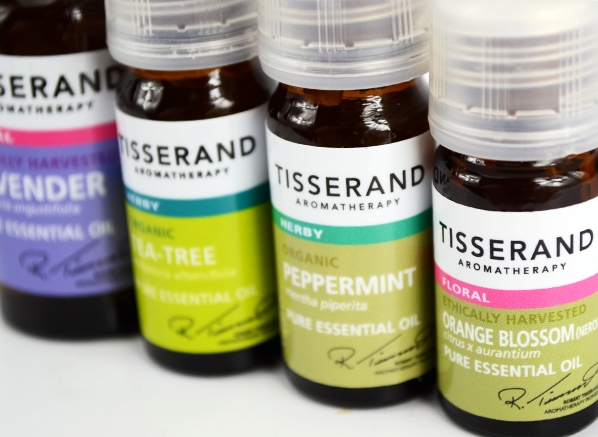 Basically, Tisserand is the don of the essential oil world! 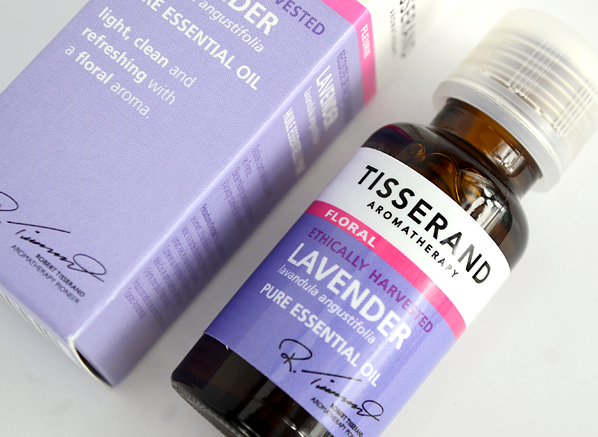 Tisserand are committed to offering you the finest essential oils, renowned for the purity and quality of it’s essential oils and pre-blended aromatherapy and skincare products. They promise us 100% Pure Organic Oils created with essences that all been ethically harvested from sustainable wild crafted crops to ensure that you definitely won’t be disappointed with any of their offerings. Essential Oils are a natural way to soothe away aches and pains, clear the mind and senses, make awesome fragrances, beauty treatments, soaps and cosmetics. They’ve been used for centuries to treat ailments of both the body and mind and have recently enjoyed something of a revival of popularity thanks to our modern interest in aromatherapy and alternative medicines. Essential oils are basically made up of the oil from the plant in which they were extracted from, such as oil of lavender. An oil is classed as essential if it’s retained the characteristic fragrance of the plant it was pulled from, so it has to be pretty pungent to make the grade! A pure essential oil is literally that; it hasn’t been diluted with any other oils or synthetic ingredients and is generally extracted through a process of steam distillation to ensure the purest results – and they’re usually pretty pricey too, thanks to the long-winded extraction process. For example, one drop of pure Rose Otto Oil contains the essence of around 60 roses. What can I do with Pure Essential Oils? Pure essential oils have a variety of uses and there are many different ones to chose from. Perhaps the most popular use is diffusion, where the fragrance will float around a room to soothe the senses or clear the mind depending on the oil chosen. All of the essential oils offered by Tisserand can be used in a vaporiser or diffuser (the Tisserand Aroma Stream Diffuser is fab as it’s practically silent) to fragrance a room and create a particular atmosphere. For example, a few drops of Lavender Essential Oil into a diffuser/vaporiser will gently calm your mind and create a wonderfully relaxing environment, great for drifting off into a slumber. It’s a wonder oil for restless babies and toddlers too when used in a nursery. If you’re suffering from insomnia, a few drops on your pillow will also go a long way. Roman Chamomile Oil will also have much of the same effects and is great for all ages. Conversely, a few drops of Orange Oil into a diffuser will instantly brighten the room, creating a happy environment and shifting any stubborn lingering smells. In the sticky summer months, some gently wafting Citronella Oil will repel any flying bugs and scary wasps from invading your house, whilst distributing a sublime citrus scent reminiscent of a Italian oasis. Winner. You can create your own unique fragrance with pure essential oils, which is essentially what the perfumes we all know and love are created from. Tisserand have their own range of excellent skin perfumes, including the Wild Rose Pulse Point Perfume, but you can also create your own from a combination of your favourite scents. If you love citrusy scents, then have a go at combining Lemon and Bergamot with Cypress for a bright, playful fragrance. Ensure you’ve diluted the essential oils with at least 10mls of a carrier oil and dab liberally onto pulse-points for a truly exclusive perfume! 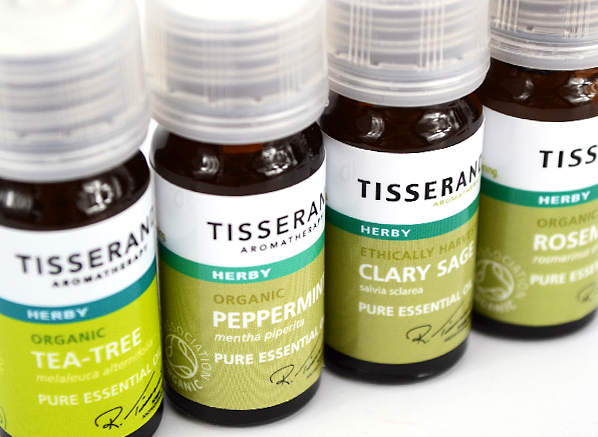 Tisserand essential oils have been used since the late 70’s by qualified masseuses and professional aromatherapists around the world to treat and soothe a staggering array of health conditions. It’s really easy to create a customised aromatherapy massage at home to help ease the symptoms of muscular pain, joint swelling, tiredness and reduce a fever by simply adding a few drops of your desired essential oil into 10mls of a certified skin-safe carrier oil, such as Tisserand Wheatgerm Pure Blending Oil. Tisserand Rose Otto Oil is a sweet-smelling essential oil extracted from Bulgarian roses, and very favourable to women, as it can ease and soothe cramps associated with that particular time of the month whilst evaporating tension and nourishing your skin, leaving behind one glowing, happy lady, who also happens to smell a bit like an exotic rose bush. If you’ve had a long, stressful day and your muscles are really feeling it a nice massage with Peppermint will chase those pains away (and let’s face it, a massage fixes everything!) This a really good blend to make if you suffer often with tired limbs and a sore head as the natural menthol will cool and refresh muscles, leaving them revived and ready for another day. Peppermint is great for nausea and other stomach troubles too, as a quick whiff of its sharp, herby aroma will help restore calm to a turbulent tummy. Similarly, Tisserand Black Pepper is another excellent choice to treat muscular pain or just for an enjoyable massage as it’ll penetrate muscles and joints with a gentle warming action to bring relief and quell inflammation. Great for the winter months too, for a experience that will really warm you up from tip-to-toe! For a massage that will please everyone, try Ylang-Ylang, a universal favourite amongst aromatherapists as its delicate fragrance won’t offend and it’s suitable for all skin-types. This is a great choice for someone wanting to give their partner a nice massage, as it’s gentle, relaxing oil that will melt away stress and worries. There are so many different pure essential oils available in the Tisserand range and pretty much all are suitable for a customised massage treatment. Feel free to get imaginative and blend a number of essential oils together with carrier oil in a Calibrated Mixing Bottle; for example citrus essential oils tend to blend very well together, and Lemongrass blends beautifully with Grapefruit. 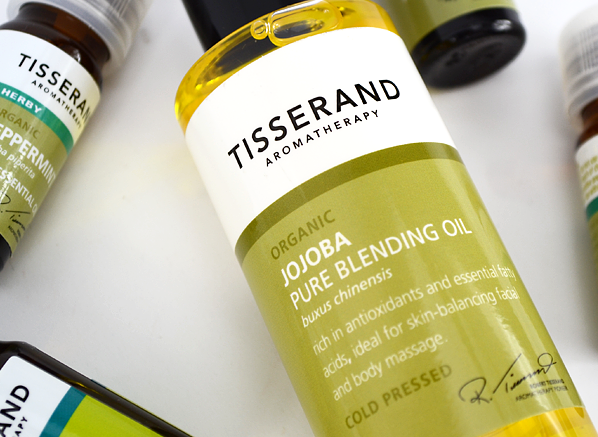 However, if you’re a bit wary of jumping in at the deep end and showcasing your inner chemist by mixing your own massage oils, then fear not as Tisserand also has an excellent range of pre-blended oils ready to be applied straight onto skin. Their collection of oils includes blends for Muscle Ease, Energy, De-Stress and Detox, which will easily cover all of your massage needs! It’s no secret that essential oils work like a charm to alleviate stress, soothe anxiety and help fight depression. A particularly strong essential oil like Orange Blossom will instantly centre your mind whilst calming your senses, helping you to fight against the overwhelming feelings that are present in the throes an anxiety attack. On the other hand, a soothing essential oil such as Patchouli will harmonise and stabilise your mind, preventing any anxious thinking and defending against any future attacks. Simple to use in a diffuser, or to just pop into your pocket to sniff as and when you need. Nothing is better for depression than Clary Sage in the essential oil world, used since the 17th Century by herbalist John Gerad to lift a constantly low-mood and thwart mental fatigue to create an atmosphere of serenity and peace. Frankincense has been used since ancient times for prayer and meditation, so it’s no surprise that this precious oil has properties that have been proven to lower anxiety and prevent depressive behaviour. Little wonder that this tranquil oil is fantastic for eliminating mental stress! If you don’t fancy carting around a bottle of pure essential oil on your being, the Tisserand Remedy Roller Balls are just what you need. Perfect for a quick on-the-go pick me up these little roller balls are pocket-sized and jam packed full of a wellness enhancing essential oil blends. There’s one for stress, one for energy and even one especially for travelling. Amazing stuff. I wouldn’t be without my Sweet Dreams Roller Ball, which also performs as an all-natural perfume in a pinch. If you’re a fan of homemade beauty treatments, than you’ll need to add some essential oils to your beauty arsenal post haste. These pots of natural goodness will create amazing serums, cleansers and masks to treat acne, dullness, oily skin to name but a few. For example, to create a wonderful D.I.Y anti-ageing serum, just add 10 drops of Cypress and Geranium Oil, with 7 drops of Frankincense Oil into a base of 2 tablespoons of Sweet Almond Carrier Oil and Rose Oil and shake/stir vigorously to combine. You’ll be left with an intensively nourishing and supremely hydrating serum that will get to work transforming your complexion, day and night. Essential oils will also do wonders for acne. If you’ve got acne that won’t seem to shift try Tea Tree Oil. This revered oil contains some serious antibacterial, antifungal and anti-inflammatory properties to banish away unsightly breakouts. Take a cotton bud, add one drop of oil and apply directly onto any affected areas. Do this sparingly as Tea Tree can dry out your skin. If you’ve got sensitive skin, make sure you dilute the oil first to prevent any reactions. For oily skin, try your hand at generating your own skin treatment with Geranium or Rosemary Oil, both of which are naturally astringed and seek to regulate oil production, improve skin elasticity and minimise pores. Just add a 3-4 drops into a carrier oil and apply as cleanser, or as an intensive night-time treatment. No matter your skin condition, there’s an essential oil out there that can improve it. A quick search on Google will result in literally hundreds of recipes for homemade essential oil beauty treatments. Delight in your inner chemist and get mixing! A lot of people wouldn’t be without an essential oil in their first aid kit, as some oils have spectacular antiseptics properties. Tea Tree Oil is most likely the one that comes to most people’s minds, renowned for its tingly healing abilities and deep cleansing properties, but did you know that Bergamot and Benzoin are also naturally antiseptics and are great to use to treat simple cuts and scrapes? Yup, these two essential oils beloved by the perfume industry for creating delicious L’Homme’s will do wonders for that graze you obtained trying to walk in those heels. The best method of application is to dilute with water and mist straight onto the affected area. The oils will get straight to work forming a protective barrier over the wound. Kind of like an all-natural Elastoplast. If your tresses are in need of some serious TLC, and are looking a bit dry, brittle or generally sad then give it a boost with an essential oil treat. You can create a customised treatment by adding a few drops of an essential oil to around 10mls of a carrier oil (Jojoba and Almond carrier oils work best for hair) and sparingly applying it to the ends and mid-lenghts of your hair. Or, for an intense hair revival apply liberally all-over dry hair and leave it to work its magic for an hour or so before washing out. If you have normal hair try Lavender or Rosemary essential oil, but if you suffer with oily hair then Lemon or Peppermint will do your hair the world of good. For dry hair, Geranium and Sandalwood have been used for centuries to hydrate and moisturise, whilst if you have embarrassing, flaky, itchy dandruff Cedarwood and Cypress are your friends. And now our guide to the world of essential oils has come to an end. Let me know in the comments below if you’ve got any recipes for any essential oil treatments or perfumes, or any other uses for these marvellous gifts from Mother Nature. This entry was posted on Tuesday, August 26th, 2014 at 5:59 pm and is filed under Bath & Shower, Brand Focus, Fragrance, Skincare. You can follow any responses to this entry through the RSS 2.0 feed. You can skip to the end and leave a response. Pinging is currently not allowed. I’m a huge fan of aromatherapy and always have a stash of oils at home. I love to make my own blends. When my son had chicken pox last summer, he refused to use calamine lotion so I had to whip up some oils. I made a blend using coconut oil, comfrey, neem, tea tree and lavender oil. It really helped soothe and heal his skin.